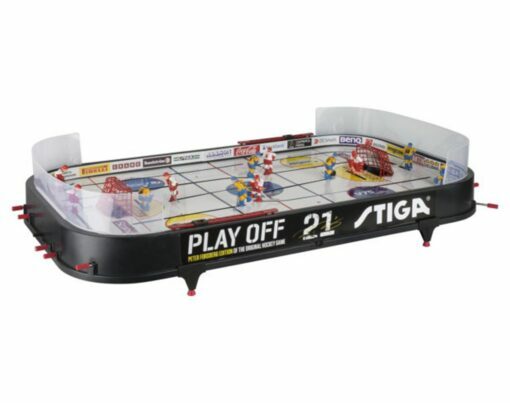 Introducing the NEW Stiga Playoff 21 hockey table game. You will notice some exciting new changes from the old Playoff game. 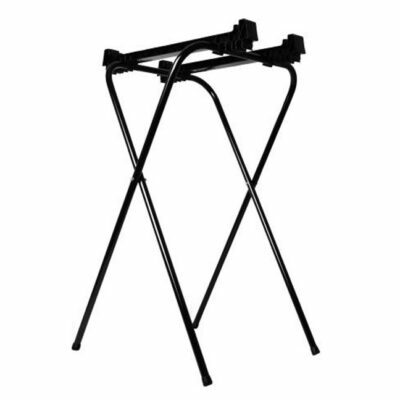 More specifically, the design feels more modern, the ice is thicker and the material is refined. 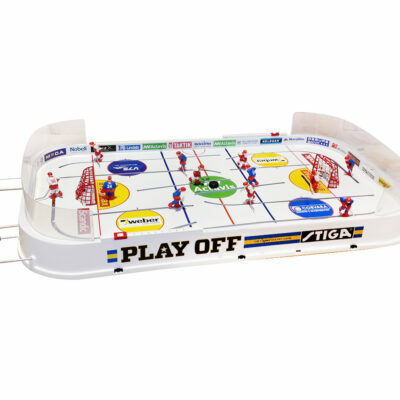 Designed in close collaboration with Swedish hockey legend Peter Forsberg. 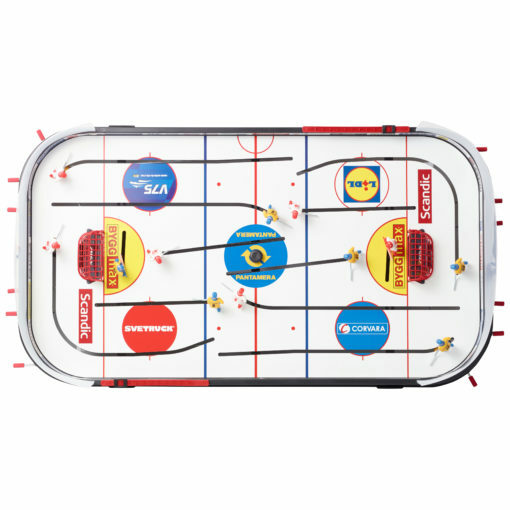 The official Hockey Table Game as used in the World Champion-ships. All parts are fully replaceable. Your game will last a lifetime. REAL Plexiglas preventing pucks leaving the rink. Comes with Canada and Sweden teams. 3-D players with real hockey team uniforms & logos. 6 International Hockey Teams available. Rink boards featuring the logos of European sponsors. 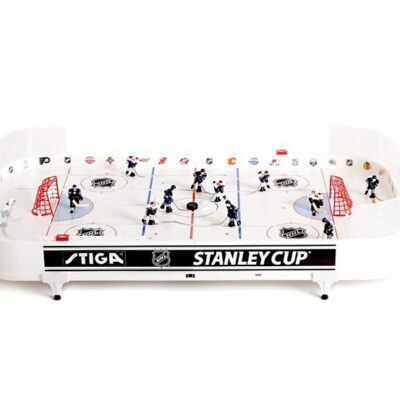 STIGA hockey games are quality products that have been steadily refined and developed since they were first introduced in 1957. Team Players: 2 1/4″ tall. All Left Hand players.